Steffen Rusitschka explains the advantages and disadvantages of prototype-based and closure-based (more classical) inheritance. He also presents his own derivative of Resig's script. In this reading, Crockford analyzes his old classical inheritance and realizes the benefits of sticking with the prototypal structure. This last article expresses the flip side of the controversy, explaining why there is no need for a classical inheritance scheme. 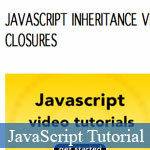 Hopefully, these links have shed light on the debate between prototypal inheritance and classical inheritance. Although I used Resig's script in my slider plugin, I recently came across Crockford's prototypal inheritance article (#5) and am now rethinking my ways for future projects.